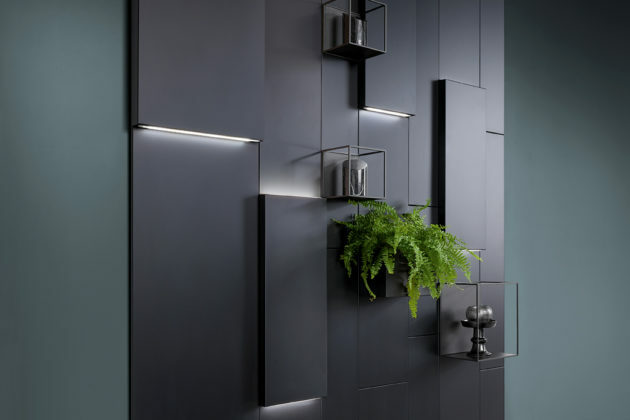 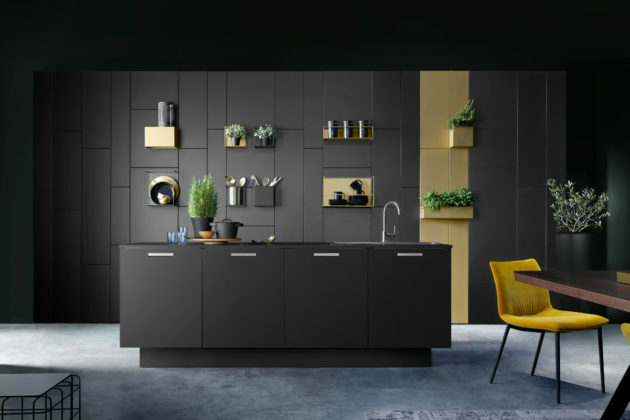 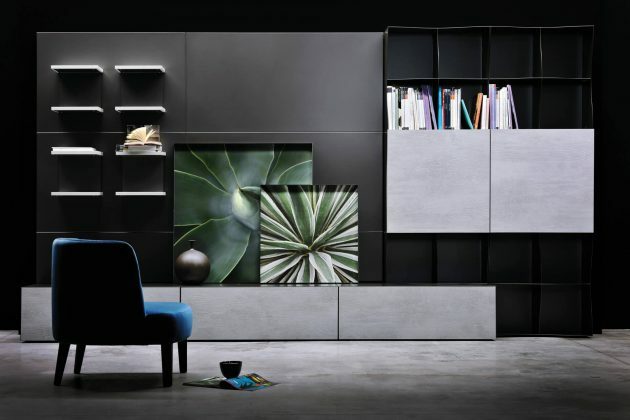 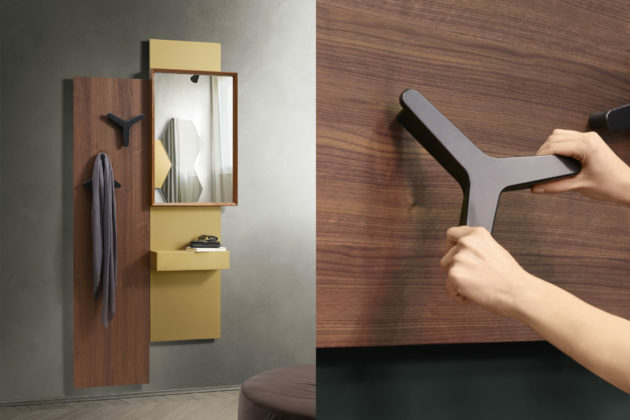 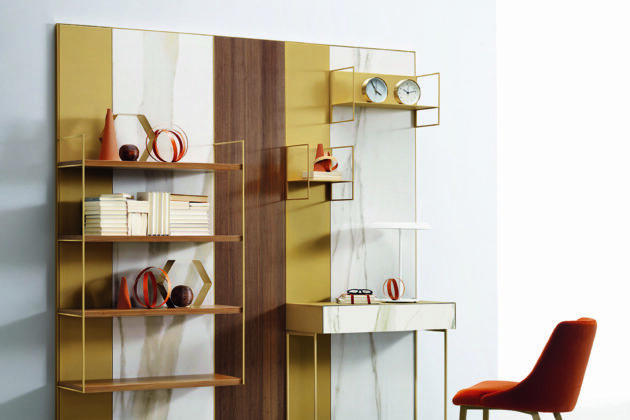 The Ronda Design wall shelving systems are characterized by features which are unique in their kind. 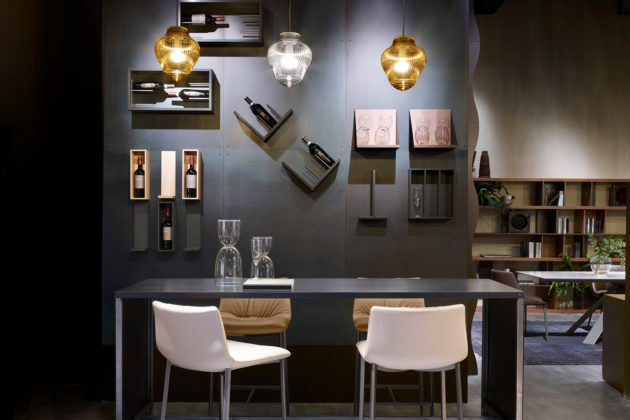 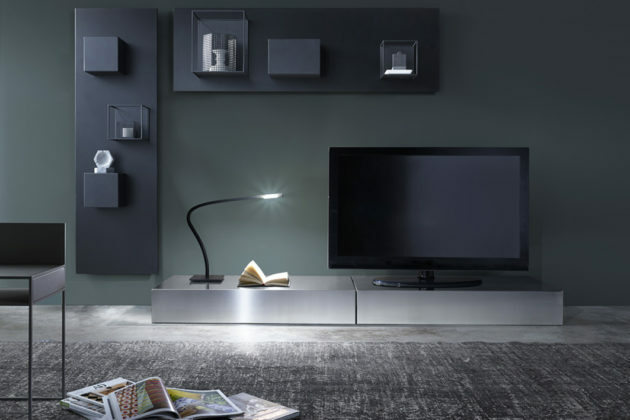 Both for the choice of unconventional materials like brushed steel and natural iron, and for the unexpected functional values of the Magnetika system applied to the living room. 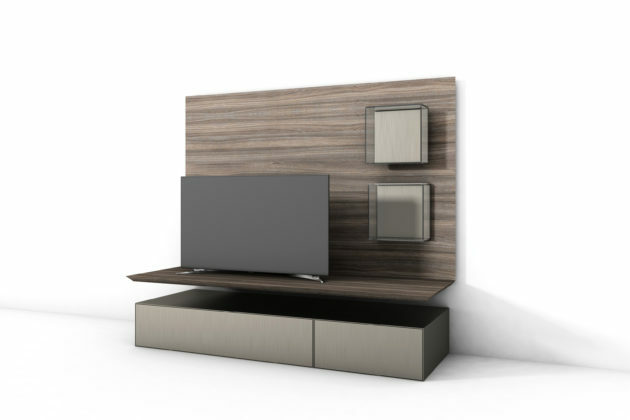 Bench is a Tv stand with a wooden bench and a back panel in wood or metal, where you can apply the magnetic accessories of the Magnetika collection.